Bring on the mountains. Bring on the beaches. Bring on the barbecues. But more importantly, bring on the books. 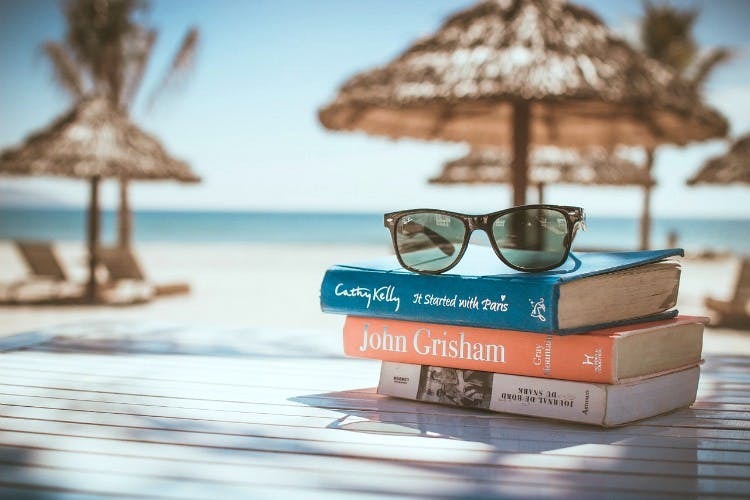 Summer is almost here and with it comes reading season, which means that it’s time to update your reading lists. From buzzy debuts and stunning memoirs, to dramatic thrillers, we have you covered with some of the best books of the season. This book has been garnering rave reviews since it was published last year. With brilliant writing, broken characters, and a bleak, unforgiving story, it is a book that will completely consume you. A Little Life follows four friends after they graduate from a small, prestigious Massachusetts college: Willem, a kind and talented actor; JB, a sharp and sometimes-caustic artist; Malcolm, an aspiring architect at a well-known firm; and Jude, a mysterious and intelligent litigator. What looks like an average coming of age story soon turns into an intense and powerful story on friendship, loyalty and love. #LBBTip: This book requires some quality time on your part; it’s 720 pages long. But then again, summer is the best time to do it! Wild is a beautifully descriptive story about loss, pain, nearly giving up, and pushing on. Based on the life of the author herself, this book talks about her journey trekking the Pacific Crest Trail, after having undergone a lot of personal trauma and pain. Keenly observant and deeply reflective, this book is at the top of its class. A love story between “soulmates” Raheen and Karim, this book is set amidst ethnic and political factions in Karachi. The strength of the novel lies in its characters, and how sometimes what we do today can have far reaching consequences, not just on our lives but also on those around us. You’ll laugh, you’ll relate, and you will think about these characters, long after you’ve finished the book. Murakami does not write for everyone, but if you are a fan of his work, then do not miss this book. He is an artist of seduction when it comes to themes of alienation and dislocation, and this book takes you on a really spectacular journey of finding yourself, with a completely amazing conclusion. The Forty Rules of Love takes Sufism into blockbuster territory and does so exceptionally well. Having two tantalising parallel narratives—one contemporary and the other set in the thirteenth century, this book goes back and forth between the lives of Ella Rubenstein, a forty-year-old woman who is unhappily married, and the Rumi who is on a spiritual journey when he encounters his spiritual mentor, the whirling dervish known as Shams of Tabriz. Written in a fluid and elegant manner, this book will give you a new and unique perspective on life, relationships and religion. One incredibly moving aspect of this book is its message about kindness. Through the eyes of August Pullman, we see what it’s like to be on the receiving end of dirty looks, terrified stares, and ugly words. As this book is told from multiple points of view, including a bully, a friend, and a loved one, the overall feel is extremely unique and interesting. The ending of this book and the way the characters deal with situations completely restores your faith in the basic goodness of people. For Dalrymple, Delhi is a city of accumulated losses, haunted by its innumerable fallen rulers, the locus of empires that have been lost and, though not actively remembered, not quite forgotten either. Based on in-depth research, this book helps shed new light on a city you thought you already knew. This book is highly recommended to all travel enthusiasts and history buffs as well.